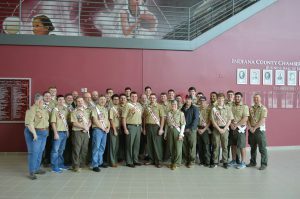 The second annual Section Advancement of Lodge Leaders Summit, or SALLS, will be held on March 25 at Indiana University of Pennsylvania. If you were not at the LLD this year, it is extremely important that you try to make it to this training event. Because SALLS is so similar to the LLD, your attendance at this event can be counted towards the Leadership Development JTE requirement. SALLS is an excellent training that covers many topics that lodges in our section struggle with. The section does an excellent job bringing in expert trainers from across the Northeast Region. Even if you did attend the LLD, this is still a fantastic opportunity for you to learn how to better serve the lodge in your respective positions. The link to register is below. ← Activity Committee Members Needed!